A lovely white Andalusian city set upon the Mediterranean Sea near Tangier, Tetouan traces its origins back to 3rd century B.C. Eric and I took the plunge and went with a hired guide from the border at Ceuta, rode for about 30 minutes in an antique unmetered taxi, and arrived in the old part of Tetouan. The tour showed us some of the architecture dating back up to 800 years, the city skyline, an overly eager Moroccan carpet salesman, a leather tannery, and an authentic Moroccan market. Tetouan is historically considered one of the more tourist unfriendly cities in Morocco. This doesn't mean that the people there are unfriendly towards tourists rather most tourist opt for the more obvious choices such as Tangier, Fes, and Casablanca. The king was in residence during our stay there, so the police presence seemed to keep things in check. It's definitely not a trip for the unadventurous, but you'll have a good story to tell when you're back home! Please be careful with the guides at the border. They are NOT official. Agree on prices beforehand, as they will almost certainly increase by the end of your tour. Some amount of bartering is expected. Just be assertive and don't let anyone pressure you into buying anything you don't want. Be prepared to say "La!" 100 times at any carpet shop you enter. 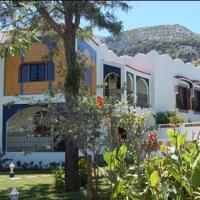 Capital of Northern Morocco, Tetouan is situated in the midst of greenery. A belt of orchards, planted with orange, almond, pomegranate and cypress trees, encompasses dazzlingly white houses that cling to the Dersa hillside. Nearby the somber, dim Rif Mountains emphasize the pleasant colours of the urban site that dominates the fertile Martil Valley. Founded around 1305 by the Merinid Abou Tabit, the town served as a base for operations against Sebta and Later became a pirates lair. The Spanish made life difficult in Tetouan and finally destroyed it. However, the town was repopulated in the 16th century by the Moslems and the Jews who had been chased away from Andalusia. The town prospered under the reign of Moulay Ismail. 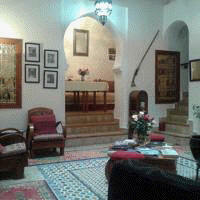 Like Rabat, Fes and Sale, Tetouan is a "hedrya" town; that is, a centre of culture and refinement. The streets wind among bluish white walls to open on to small squares, centers of intense activity. Early in the morning country women arrive to sell their wares. Enveloped in candy-striped clothes, wearing gaiters laced to the knee, and wide-brimmed straw hats decorated with pompoms, they offer butter, honey, vegetables and herbs to a lively, hurrying clientele. Hassan II Square Morocco, situated at the point where the old and modern parts of the town converge, constitutes the heart of the city. Reminiscent of Andalusia with its kiosks, fountains and flower boxes, the square remains an ideal meeting point for afternoon strollers. Introduced at the time of the Spanish Protectorate, modern life continues to attract strolling crowds. Buildings with wrought iron balconies and shop windows filled with imported commodities fascinate the crowds of passersby. Tetouan Morocco deserves its reputation as a cultural centre. The town contains many monuments: a fort, walls with well preserved fences, a number of mosques, fountains, foundouks and, last but not least, the Khalifa's old palace which used to be the residence of his Majesty's representative at the time of the Protecorrate. The palace was built in the 1 7th century but was renovated and restored in 1948 in such a way that it retains its character and is an ideal example of Hispano-Mauresque architecture. 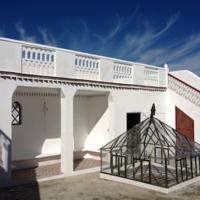 Two museums, a conservatory, a College of Fine Arts and a School of Moroccan Art are among the cultural establishments that Tetouan can be proud of. Still, the most fascinating thing to visit in this beautiful town remains its meandering alleys that sometimes dive under large arches only to reappear in the light of a small square or lead into a dead end. Each street is occupied by a trade guild. The street of dyers adjoins that of gunsmiths, not far from weavers and jewelers. The babouche manufacturers and leather workers are close to the tanneries and other craft workshops. Tetouan Morocco holds many marvels, maintaining venerable traditions and a way of life that renders the city unique. A lovely white Andalusian city set upon the Mediterranean Sea near Tangier, Tetouan Morocco traces its origins back to 3rd century B.C. Then it was a settlement called Tamouda which existed until 42A.D. when it was destroyed by Roman armies. When the Merinid sultan Abu Thabit constructed a kasbah at Tetouan in 1307, the Muslim city began to find its form. However, as a refuge for Barbary pirates, Tetouan drew the wrath of the Castilian king Henry III whose forces overran the city and sacked it in 1399. For a century thereafter Tetouan went into a period of decline until coming under the Andalucian influence of refugees from Granada. From 1484 the city took on some of the rich architectural and cultural character of Muslim Spain, traces of which can still be seen today. 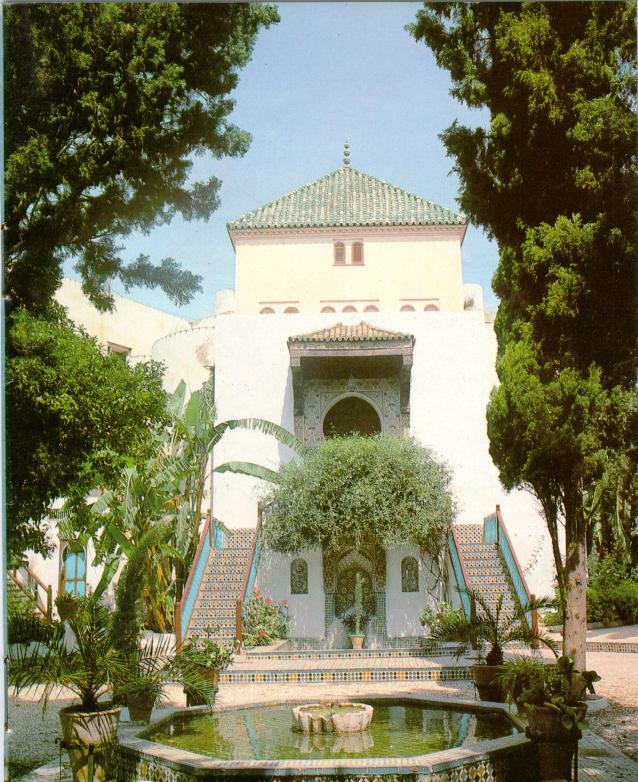 In 1913 Tetouan Morocco became the capital of Spain's protectorate until independence in 1956. Located in an agricultural area, modern Tetouan Morocco is a market centre for the surrounding area where grain, livestock, citrus fruit and handicrafts are traded. In addition, a variety of goods are manufactured in and around the city, including tobacco, soap, matches, building materials and textiles. The town's principal industries are printing, cabinet-making and fish-canning. 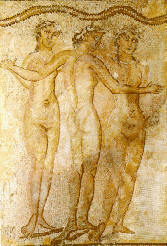 Built in 1943, this museum features antiquities from sites in northern Morocco including the superb Roman mosaic, The Three Graces. Prehistoric tools, coins, bronzes and pottery are also on display. Most of the figurine collection dates from the First Century A.D. 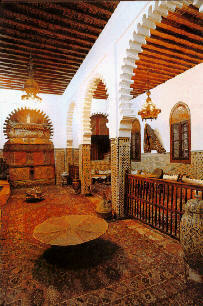 The museum also houses a library of over 60,000 volumes dedicated to the preservation of North African literature. Once the fortress of Sultan Moulay Abderrahman, the Ethnographic Museum was established in this fabulous structure in 1948. Moroccan customs and traditions from marriage ceremonies to the simplest accoutrements of Moroccan living are displayed here.